Now that the leaves and temperature are dropping, the skin definitely needs a protective barrier towards the season. Although drinking more water is always needed to hydrate the skin, the change of skincare is a definite must to keep the skin calm and nourished. 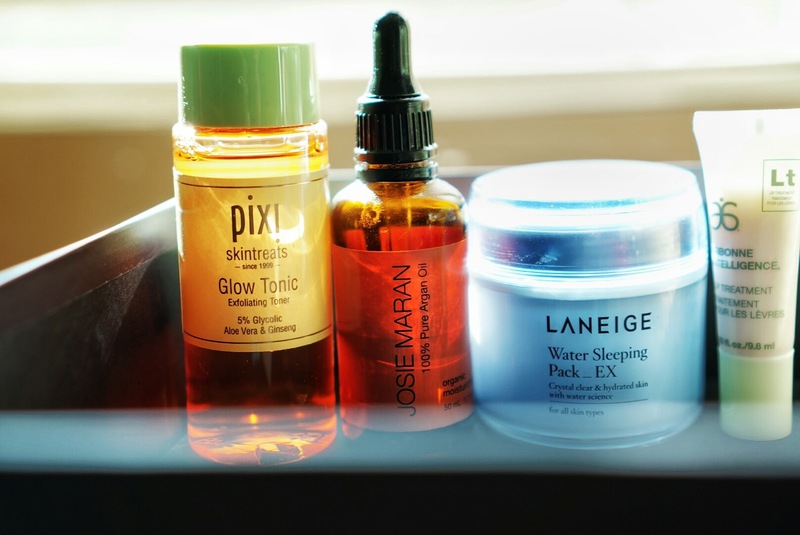 Here are a few of my favourite products that I like to add in to my autumn skincare. Pixi Glow Tonic*: This toner does an amazing job getting rid of dead skin cells and doing a quick turnover to brighten up the skin. I love the ginseng property, the scent and overall how firm my skin feels after. Definitely recommend! Josie Maran 100% Argan Oil: Already been loyal to this product for two years and it still don't budge. Recently I have been using this to replace cream because my skin is so dry and it really does a great job rehydrating my skin and calming it from the cold weather. Laneige Sleeping Water Pack: Best sleeping pack ever! Haven't found something that can replace this but Laneige is what keeps my skin stress free and rejuvenated. I like to put this on before I sleep and wake up feeling really great. Arbonne Intelligence Lip Treatment*: I've recently been sent to try this and I quite love it. It is a lip treatment to target dry lips and transforming it to hydrated, soften fine lines and supporting the natural moisture barrier. I've been using it for about a couple weeks now and my lips have not cracked, no skin peel and it looks more plumped. Definitely would give this a try if your looking for something to replenish and enhance the lips. 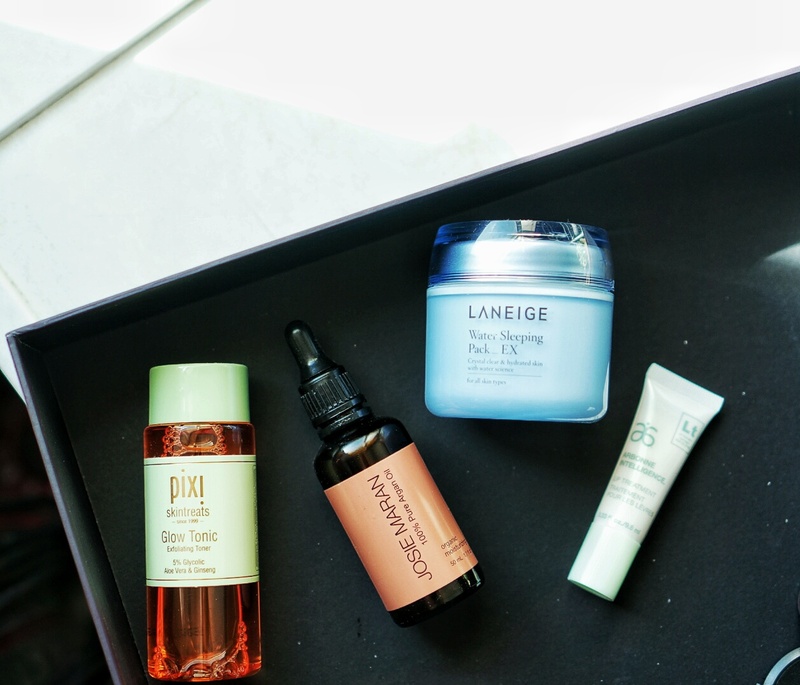 What’s your favourite autumn skincare?